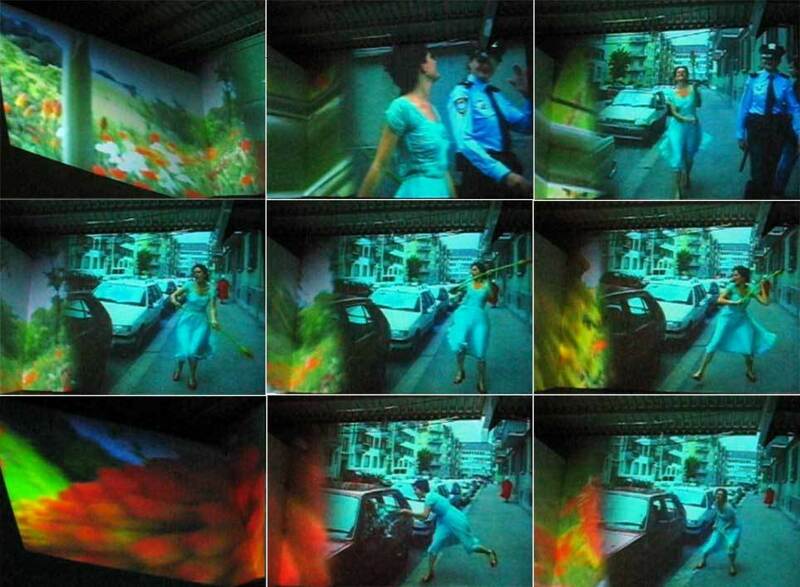 She use video, film, and moving images as her media, which are often displayed as projections, usaully they are in large format, and the videos are short, only lasting several minutes. She start recording film by 8mm recorder since her student age. Ever is Over All (1997) shows in slow-motion a young woman walks along a city street, smashing the windows of parked cars with a large hammer in the shape of a tropical flower. At one point a police officer greets her. The content of the video shows a ridiculous scene, the woman in the video is insane, and the same kind of woman can be found in many of her other works. The hysteria woman is sign of feminism, because the hysteria was seen a characteristic disease of women in 19th century. Another significant point is that the police officer greets her, it made the theme much deeper than only destroy the cars. Her work is more about content and visual form, and technology is not a major consideration. In fact, technology is supposed to serve the content, which is one of the laws of new media art and other forms of art.